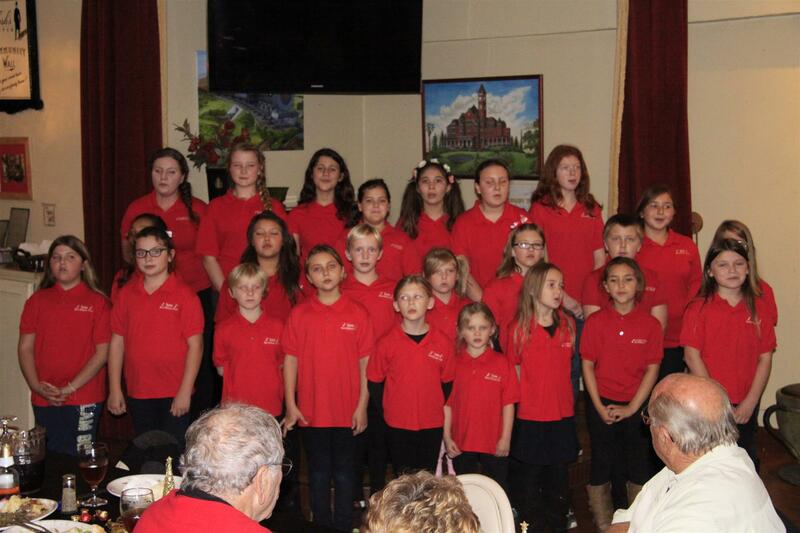 Each year Ione Elementary School’s Red Ribbon Choir and Violin Group come to entertain the Rotary’s Christmas dinner. This year choir Director Cindy Harris brought 24 members that consisted of kids from the 1st grade to a high school senior who presented a wonderful program. Following the choir the Violin Group, founded by Robin Masterson, which has been recruiting and training young violinists entertained with Christmas Carols and a Sing Along. Current Director Tami Owens and Accompanist Melissa Johnson have worked with the group since it was 2009. 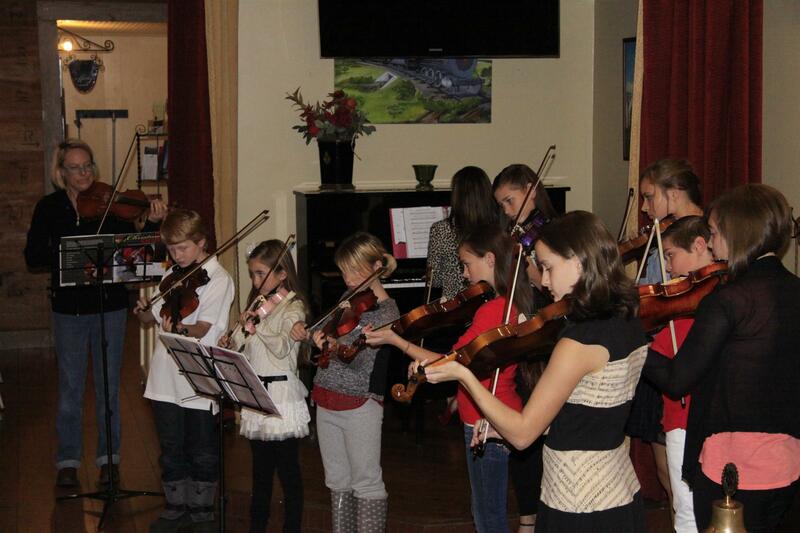 Their goal is to have their violinists’ proficient enough to join the Mother Lode Friends of Music Orchestra. The two young ladies in the foreground have just been chosen. As in the past Ione Rotary contributed $500 to each group help them continue their programs.